One of my favourite records is Vampire Can Mating Oven by Camper Van Beethoven. Other than great songs it also has a title that looks like an anagram of the band’s name, but clearly isn’t. 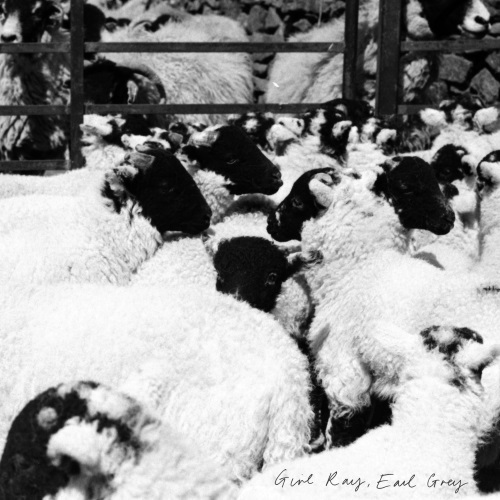 Earl Grey by Girl Ray does the same thing, and that appeals to me (probably more than it should). Thankfully this debut release is a fantastic album, one of the best I’ve heard this year, and I don’t need to appreciate it on the strength of the title alone. ‘Just Like That’ is one of those great album openers. It starts pleasantly enough before drilling itself into your brain with every melodic twist and turn. On the first few listens to the album I skipped back to this track multiple times before continuing, putting a full listen in jeopardy. As a regular 6 Music listener I’d heard a number of the tracks before, but in the context of the album they sound even better. There is a real subtlety to the music, and that makes the quirks of the arrangements and the musical flourishes that much more surprising and pleasing. The vocals, in particular, are deceptive. On first listen they are distinctive, despite their lack of showiness, but the more you listen the more the harmonies and inflexions impress. The most obvious counter-point musically is Gorkys, and that almost-pastoral edge is a cornerstone of the sound here. There is much more on show though, with the (welcome in this case) spectre of prog rearing its head. On the wonderful ‘Cutting Shapes’ we get Pink Floyd drums, Brian Auger keyboards and even some squealing guitar making an appearance. Other unexpected musical influences unfold on the album, a direct musical reference to Todd Rundgren’s ‘I Saw The Light’ (on the intro to ‘Stupid Things’) being my personal favourite. One of the things I love about this band is that they are producing quiet, subtle songs and through this low-key approach they have the room to demonstrate a real dynamic range. This is best demonstrated on the title track ‘Earl Grey (Stuck In A Groove)’ which builds, grows and moves across 13 minutes of playing time. A gorgeous vocal central section giving way to increasing instrumentation that builds to (what can only be called) a free jazz odyssey before drawing back to the vocals again. My one (small) criticism of the album is the song sequence, something that seems a quaint concern on the age of the playlist. The aforementioned title track is such an epic song that it makes the following songs (as good as they are) seem a bit ordinary in comparison. I’d have personally preferred this track as the album closer, it is so good that it should be the last thing in the listener’s memory. It makes more sense on vinyl, however, with this song opening side 2, and on that basis I’ve already talked myself out of this (already small) criticism. I’d be surprised if I’ve heard many (or any) better debuts before the year is out, and it would be an exceptionally good year if this didn’t make my personal top 10. So it is still to be decided where this will figure in the best of 2017 chart, but it is a dead cert for the album title of the year award at least.